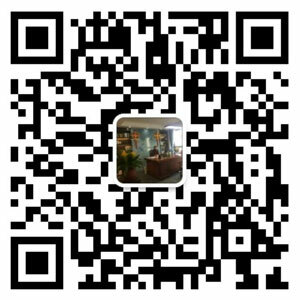 E-waste - WANROOE MACHINERY CO.,LTD. 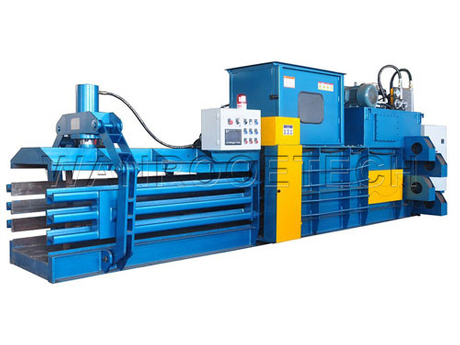 The fridge recycling line is mainly applied to the crushing, separation and recycling of fridges, whose Freon and compressor have been removed. As being controlled by PLC system, the fridge recycling facility is being real-timely monitored. The fridge recycling facility is being real- timely monitored. The features include low energy cost, large capacity, great cost effectiveness, low maintaining cost, good product quality, and so on. - Dismantling and recycling capacity of Waste Refrigerators: 50-60 pcs / hour; 80-100 pcs / hour. 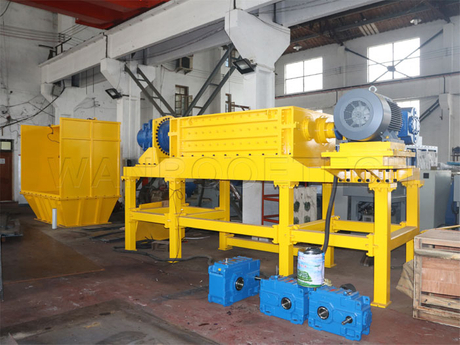 - Material separation efficiency: Iron recovery is greater than 98%; Plastic recovery rate is greater than 98%; Foam recovery rate is greater than 95%. - The bulk density of the iron group: more than 0.7T/Cubic metre, the broken material of uniform size, good stripping effect. - Foam volume reduction ratio 1:7. - Especially suitable for tearing large size refrigerators and freezers. - Material and dust and exhaust, respectively, supporting independent ventilation system, is conducive to environmental protection and safety in production. - The production line can be operated remotely and monitored in real time according to customer requirements. - Production lines are simultaneously broken and recycled for freezers.